While it’s en vogue to use the word “missional” in church circles, many people struggle to know what it means or how to live it out. 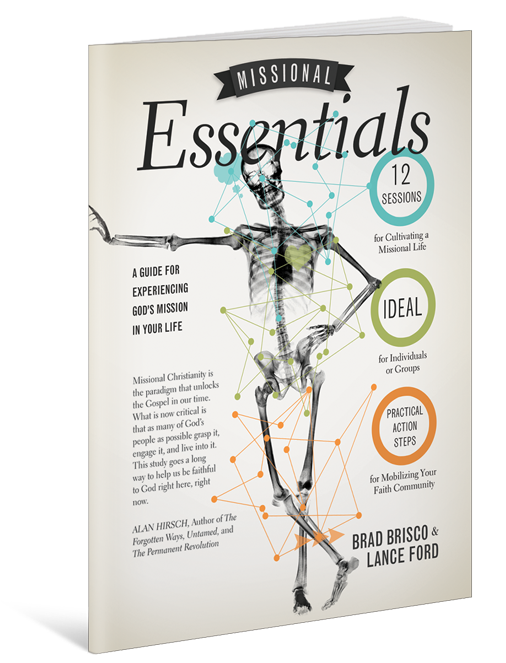 Missional Essentials puts flesh around the bare bone foundations, principles, and practices of missional life. Action steps to help readers engage their communities. This guide is ideal for existing leadership teams that are engaging the missional conversation, small groups interested in exploring the paradigms and biblical directives for missional community, and church planting core teams seeking to develop a missional DNA in their faith context. Study Missional Essentials with your small group or church community. Purchase a 10 book bundle for just $8.99 per book.